For nearly 20 years Michael Proctor lived in the British Columbia wilderness building boats and musical instruments by hand. In 1990 he emerged to start an undergraduate distance-learning program for which he commuted by canoe to transmit documents by mail and communicate via phone booth. It was during this time that Proctor built an appreciation for living and learning without racing the clock, which would come in handy years later while studying grizzly bears. 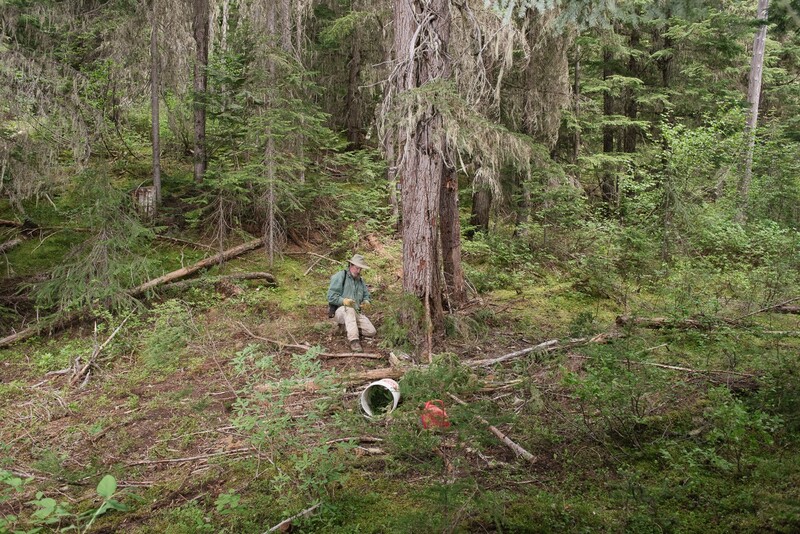 According to Michael Proctor, learning grizzly bear demographics and movement patterns through DNA signatures is “a bit of an endurance science.” Proctor, an affable and playful independent researcher, now living in Kaslo, British Columbia, has been a bear researcher for 20 years. He was part of the world’s first bear DNA study that took place in British Columbia’s Glacier National Park in 1995 and has since become one of the world’s leading experts on using DNA as a tool to understand bear populations and the impacts of fragmentation on population demographics. He leads the Trans-border Grizzly Bear Project. Proctor’s study area has been the Purcell and Selkirk mountains of British Columbia, Montana, and Idaho, an area known as the Inland Temperate Rainforest. 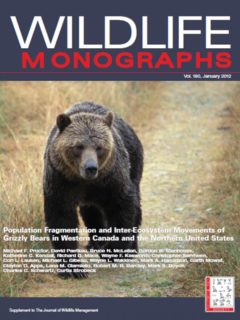 According to Proctor, the Purcell Mountains are the “southern tip of the Canadian grizzly bear mother load west of the Rocky Mountains.” Gaining answers to questions about the movement of grizzly bears in and out of the Purcells and Selkirks has been a joint endeavor of Proctor and the U.S. Fish and Wildlife Service. According to Wayne Kasworm with the U.S. 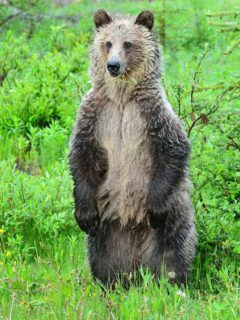 Fish and Wildlife Service, grizzly bear conservation success in the Cabinet, Yaak, and Selkirk mountains south of the border is directly tied to the fate of bears in Canada. For ten years Proctor and U.S. Fish and Wildlife Service radio-collared bears in the Purcells so the bears could teach them where the best linkage areas were. That data allowed groups like the Nature Conservancy of Canada to take conservation actions with confidence to protect places such as the Frog Bear Conservation Corridor that bears use to traverse the Creston Valley between the Purcell and Selkirk mountains. “Bears have good noses, tend to be hungry all the time, and can get lured into eating human food easily,” says Proctor. What is unique about Proctor and his Trans-border Grizzly Bear Project is that he studies solutions in addition to the problems. Proctor works directly with partners to ensure those wandering “teenagers” stay on the straight and narrow. Proctor has been self-employed since he was fifteen years old. He can’t imagine doing it any other way. He acknowledges that partnering with the U.S. Fish and Wildlife Service has been critical to making his work possible. “Without them, I would be living under a rock,” chuckles the Canadian. Wilburforce Foundation appreciates that strong science underpins conservation solutions and that scientists like Proctor inform good decision-making on the micro- and macro-level. Michael Proctor was awarded Wilburforce Foundation’s Conservation Leadership Award in 2016.